Home>Zeppola: the story of a classic pastry of Father’s day! The tradition of Saint Joseph’s zeppole is really old. 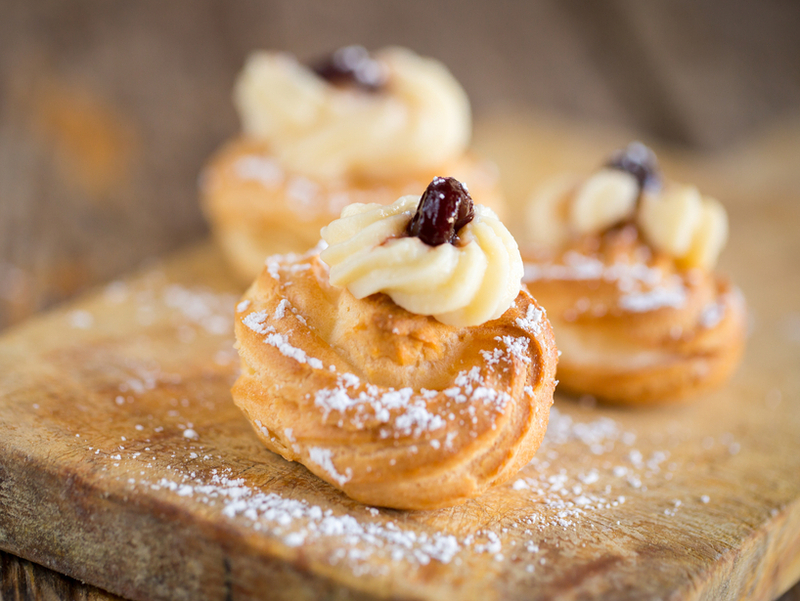 The legends say that the tradition of making zeppole comes from the ancient Romans: in March, they used to celebrate Liberalia, in honour of the Gods of wine and wheat, Bacchus and Silenus. To celebrate, people drank a lot of wine and deep-fried wheat fritters. There’s also another legends, which says that Joseph had to sell fritters to support his family, after he escaped from Egypt with Mary and Jesus. The first recipe ever recorded dates back to 1837, by Neapolitan food writer Ippolito Cavalcanti. Whatever the origin may be, zeppole are a must of Father’s day (May 19th, also Saint Joseph’s day) all over Italy! They’re made of flour, sugar, eggs, butter, olive oil and stuffed with custard cream…Yum! Did you buy zeppole for your father?